The excitement of shifting to a new office space may get spoiled if you carry out your relocation process without any professional support. You need someone who can help you in packing your office belongings with utmost care and responsibility and deliver them to the new residence within given timeframe. While hiring an experienced removalists company is an ideal decision, make sure you prepare yourself ahead of time to avoid headaches. Advance planning could save you from abrupt hiccups and simplify things for you. 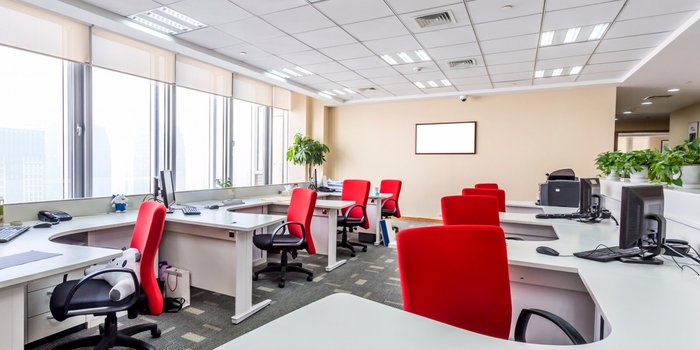 Since office relocation is directly related to your company’s productivity, make sure you incorporate the best tips and tricks to ensure smooth removal process. Below is the list of 5 simple yet useful tips that will reduce the stress out of your move. So, what are you waiting? Go ahead and experience a smooth removal process! Nothing can be better than creating a custom moving plan at least two to three months before your big relocation day. Give yourself plenty of time to decide what should be purged out or donated to reduce the stress as well as your moving cost. It is good to make a list of things that you don’t want to take to your new office space. For example: If you have old office furniture, you can donate them to the charity. But make sure you do this ahead of your move. On the other hand, if you want to recycle old electronic appliances then streamline your plan and remove irrelevant hiccups. Also, inform your employees about the move and encourage them to keep things organised for the safe and smooth transition of your office belongings. Once you have created a moving checklist, start organising your commercial space to ensure smooth and quick removal process. The first thing that you need to do is to get rid of paper wastes. Piles of loose papers, documents, notes and files within the workspace need to be removed as soon as possible. Unnecessary papers not only create chaos but also affect the working efficiency of employees. So, let your team engage in de-cluttering all the loose papers into separate piles and files. It is good to compile all data together and get rid of the unnecessary stuff. While purging paper waste is imperative, recycling old laptops, phones and other electronic material also plays a vital role when it comes to safe and secure office relocation. Make sure you safely recycle old and unused electronic products to protect the security of your company. Packing is one of the vital parts of a quality move that can protect your valuable commercial belongings from being damaged or lost. If you want to protect your office treasures, make sure you use smart packing tricks and materials for safe removal. From office furniture to laptops and computer systems, air conditioners to glassware items, there are plenty of things that need professional packing for the hassle-free transition. Be sure buy bubble wraps and custom boxes to store fragile items and pack all your knickknacks in a box and close them using tape. You can also use blankets and furniture protectors for expensive furniture. You can follow the quick and easy packing hacks during the move to ensure the safety of your valuable treasures. Tip: Don’t forget to label your boxes with relevant names. This will make things more organised when you set up your new office. No matter how near or far you are relocating, hiring a good removalists company can save you from committing moving blunders. Contact a team of professional removalists that hold great expertise in moving all types of offices from one place to another across Australia. Depending on your estimated budget and specific removal needs, you can research the best out of the available options and experience safe and secure transition process. A company with proven methodologies and transparent pricing policy can give you better results. Tip: Don’t forget to ask for the free quotes to get a better idea of the company you wish to hire for your next removal. Also, read the customer reviews before making your final decision. It is good to conduct an analysis of all the areas of your office and categorise items into ‘essentials’ and ‘non-essentials’. After classifying your list, the next step you need to do is to move non-essential stuff to your new office. Make sure you label all boxes to reduce unpacking hassles. Tools that are required for day-to-day operations should be kept in one place to simplify your relocation process. Make your office moving journey a success by doing proper planning, packing your stuff in advance and reduce logistical mess up without compromising your company’s productivity. The tips mentioned above in this blog post will make it easy for you to relocate your furniture and other belongings to the new office space without any damage and delay.